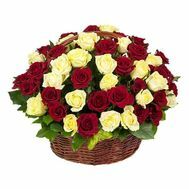 A basket of roses is a universal gift that will decorate any solemn moment in your life. 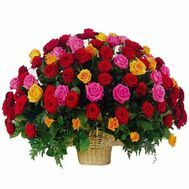 It will be an excellent present for Birthday, Jubilee, marriage, the birth of a child. Elegant floral compositions will certainly be in the spotlight. 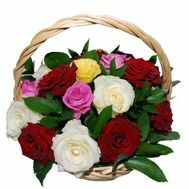 Without a doubt, baskets of roses can be called the most optimal option, the price for which you will be pleasantly surprised. It should be remembered that the size of the composition should vary depending on the preferences of the recipient and, of course, the reason. 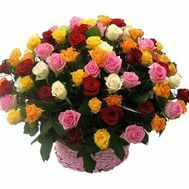 So, for example, if you want to present a composition from flowers for a birthday, then it does not have to be huge. 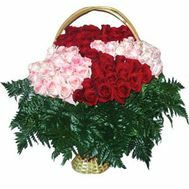 Professional florists will decorate it in such a way that the recipient will find it difficult to find words of gratitude. 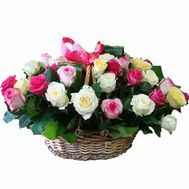 A smart basket of roses you can order at any time convenient for you. 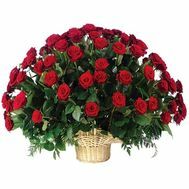 Floristic salons provide excellent 24-hour service, which will save you time and money. 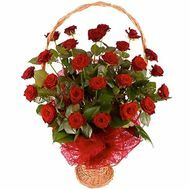 Especially popular are baskets of roses, made in various variations. 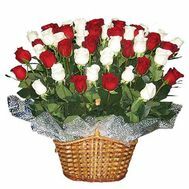 Leadership positions are occupied by traditional red roses, a combination of white, pink, yellow scarlet roses. Creative people will certainly appreciate the composition, which is based on blue roses. As you know, blue means harmony and eternity. 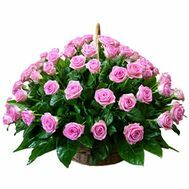 From such flowers "blows" mystery and a certain coldness. 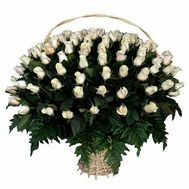 Also, the simple and uncomplicated compositions of white roses, which, in spite of this, are covered by a storm of emotions and feelings, which are accessible only to real connoisseurs of beauty, also proved to be very good. You can hit the heart of your family and friends with a service called 24-hour service. 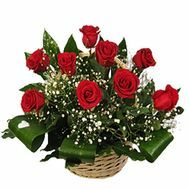 The flower gift you have chosen will be delivered at the time indicated by you (and not so important, it's day or night). The basket from will be appreciated, in support of this - feedback from customers, with most of which salons have been cooperating for more than one year. The services of real professionals will cost you quite inexpensively. 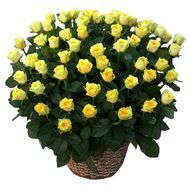 Masterpieces of floral art are obtained thanks to carefully selected fresh flowers. 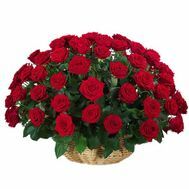 Collected in a single composition of roses will look as harmonious as possible. They can express all your feelings and emotions better than words. 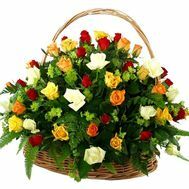 The bouquet chosen by you will be delivered to your home and office. 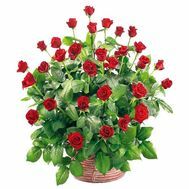 Believe me, gentle, fragrant, unsurpassed roses will do their job - the recipient will remember your gift for life!